One would think that a creationist organization like the Institute for Creation Research (ICR) — the granddaddy of all creationist outfits, the fountainhead of young-earth creationist wisdom — would be content to rely on the authority of the bible for things like Noah’s Flood, as there’s no reason for them to go elsewhere for information about anything. But they keep on trying to find other evidence. The last time they offered non-scriptural evidence for the Flood was NASA Photo Proves Noah’s Flood. We’ve posted about several earlier attempts, for example: Japan’s Earthquake Proves Noah’s Flood, and also The Flood! The Flood! The Flood!, and also More Proof of Noah’s Flood! But this time they’ve really done it. We are pleased to bring you Why Does Nearly Every Culture Have a Tradition of a Global Flood? It’s written by John D. Morris, Ph.D., and that name requires us to consult the ICR begats in order to know who he is. ICR was founded by Henry Morris (1918-2006), about whom we wrote Henry Morris: the Ultimate Creationist. Together with John Whitcomb, he wrote The Genesis Flood, published in 1961. Morris is regarded as the father of the modern creation science movement. Not only that, but he founded a creationist dynasty. The founder’s eldest son, Henry Morris III, is carrying on the family business as ICR’s Chief Executive Officer. His son, Henry IV (the grandson of ICR’s founder), is “Director of Donor Relations at the Institute for Creation Research.” He has a degree in Business from Liberty University. Another son of ICR’s founder, John D. Morris, is now president of ICR and is “best known for leading expeditions to Mt. Ararat in search of Noah’s Ark.” Our guess is that he wrote today’s article. The most similar accounts are typically from middle eastern cultures, but surprisingly similar legends are found in South America and the Pacific Islands and elsewhere. None of these stories contains the beauty, clarity, and believable detail given in the Bible, but each is meaningful to their own culture. Details may have been added, lost, or obscured in the telling and retelling, but the kernel of truth remains. When two separate cultures have the same “myth” in their body of folklore, their ancestors must have either experienced the same event, or they both descended from a common ancestral source which itself experienced the event. [D]iscrepancies are not expected. Englishmen, for example, have scattered from their home island and now live all over the world. But except for known embellishments by later writers, there is no variation in the legend of King Arthur. But, of course, this is not the view of most modern scholars. They prefer to believe that something in our commonly evolved psyche forces each culture to invent the same imaginary flood legend with no basis in real history. Instead of scholarship, this is “willful ignorance” of the fact that “the world that then was, being overflowed with water, perished” (II Peter 3:5,6). So there you are, dear reader. We’ll leave it to you to decide for yourselves. 8: But, beloved, be not ignorant of this one thing, that one day is with the Lord as a thousand years [emphasis added], and a thousand years as one day. In the Department of Unintended Irony, it happens that the identity of the actual author of this ICR article is in at least as much doubt as that of the entire book of 2nd Peter. The consensus view of biblical scholars is that 2nd Peter is a forgery made in the name of Paul. Given that many cultures do not have a concept of the Earth being a globe, I presume that this should be, rather, “all the Earth”. The Bible does not mention a boat, but a box. No sails, oars, rudder, keel, prow, etc. Did survivors land on a mountain? The Bible does not say that the Ark landed on a mountain, but in a mountainous region, “in the mountains of Ararat”. This is the same logic that Ken Ham uses when he says stories about dragons in many cultures are evidence that people and dinosaurs co-existed in the recent past. Do the indigineous people of Australia and New Zealand have flood myths? Obviously this is proof that the Epic of Gilgamesh is true. Apparently they do. Here you go, have a ball: Flood Stories from Around the World. Oh, for the day when these folks give up. They seem not to be aware of Augustine’s warning of many centuries ago – if one speaks foolishness regarding things that are known to most people, why would the people listen to what you have to say about your faith – to paraphrase. I am slightly disappointed with that list. Since they ignored the more well known Welsh flooding story of the flooding of Colwyn Bay. Long thought a myth until recently, when oceanographers have worked out that Colwyn Bay did become part of the sea again during times when man was living in Britain, and that memories of the event could have been passed down as this myth. If you are collecting flood myths, this is a requirement, not corroborating evidence. Not so unusual the stories involving water should have boats, or that the boats might land on a mountain (what else would they land on?). A collection of local floods does not imply one global flood. How many mythologies DO NOT involve families, wickedness, or warnings? Lots of mythologies have animals too, so this really isn’t special. These would be great details to have in common among stories with a common source. Especially the rainbow, given the significance this has in the Noah myth. This would seem to be evidence against a global flood. These would be great details [sacrifice, saving 8 people, and the rainbow] to have in common among stories with a common source. Especially the rainbow, given the significance this has in the Noah myth. This would seem to be evidence against a global flood. The rainbow was supposed to be a promise specifically made by God. It wouldn’t be forgotten. But the failure to preserve Noah’s name in every flood account (except one) is the most telling detail. On the link to flood stories helpfully supplied by the SC, http://www.talkorigins.org/faqs/flood-myths.html, the second story under “Hebrew” – not the boring old story from Genesis – is amazing. That would have been a much more entertaining story to put in the bible. My guess is that many of the old Genesis stories were much more embellished in the oral tradition, and were greatly edited down for the written record. Someone needs to send that one to Ham. I would love to see an Ark replica with a giant sitting on it’s roof and vicious beasts guarding the door. Thanks to Curmie correcting my omision. >But the failure to preserve Noah’s name in every flood account (except one) is the most telling detail. But the failure to preserve Noah’s name in every flood account (except one) is the most telling detail. Great point. If its all the same story, about the same guy, and that guy is the author’s great-[add greats] grandfather, you’d think they’d all use the same name. I called Dr John D. Morris on the phone just moments ago. The phone number is posted on his website. His secretary put me right on the phone with him and we discussed creationism, evolution, the flood and other related issues for roughly an hour. I asked him if he thought the ubiquitous flood stories might be better explained by early civilization’s proximity to water. Obviously they were dependent on fresh water sources for drinking water and other reasons. He told me that the Bible is what is true and that science supports it. I asked what the point of being a scientist would be considering he already has the answers. He did some gymnastics but didn’t have any real reasons other than the Bible. He also believes the Grand Canyon has nothing to do with the Colorado River, so look for stories on that soon. In the end I felt a little sad for him. I’m just an undergraduate and I basically called him out for academic dishonesty. How does he live with himself? Your conclusion “But except for understandable similarities in the Middle East, due to the influence of the Gilgamesh tale, the wildly different flood stories elsewhere mean nothing — except that floods are a common occurrence.” may not be accurate. It is possible that floods were not common occurrences in these regions and that is why they wrote about them as catastrophes. The ancient Egyptians wrote about floods, but did not consider them catastrophes because they were common. The Nile floods so frequently that they had no reason to believe it was an act of god(s). RetiredSciGuy, I did bring that up. I asked him about how the Noah story explains all the variation among humans and he said you can get that much variation in 3-4 generations. I strongly disagreed. We had been discussing the domesticated fox experiment in Russia and I had to explain the difference between natural and selective breeding. He’s an apologist through and through. Kudos to Jason. This isn’t a fight we will will by shouting loudly on the internet, but we can talk to people one on one and show them reason. That may not work with people like Morris, but most people don’t have such a high level of reality denial. Jason, I’ll add my praise to that of RetiredSciGuy. You did good. You’re on the way to learning that adult creationism is pretty much an incurable disorder. And it’s contracted early in childhood. 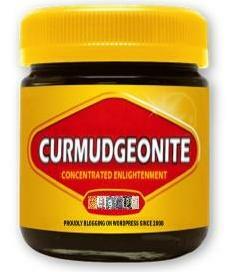 Kudos from the Curmudgeon? That makes my day. I might make it a habit to call creationists while bored at work. In retrospect it made that last hour pass by pretty quickly. Jason, all I can say is that I’m glad you and I are on the same side of this argument. It’s hard to believe there are people still trying to fight this arguement. Most scientists believe in a world-wide flood, while global warming polar caps threatens another. At the very least there was a common believed world-wide cataclysm that killed the dinosaurs. or even the ice age that moved glaciers (Water)all over most of the earth? forming the great lakes, etc. The countless amount of cities now underwater at least attribute to a global water level rising in antiquity. “everyday normal floodwaters” recede. As for the human race all going back to Noah’s family, everyone believes that people and animals began the same way. no matter what your belief: evolutionist or creationist, there had to be a first of the species and everything after that was (within the family) until there were distant enough relatives.. even in today’s time 1 in every 200 men on earth are direct descendants of genghis khan who lived as recently as 1162 to 1227.. The weekend is beginning and news isn’t easy to find, so we’ll let this go for a while. Yes, It IS hard to believe there are still people trying to fight this argument. The study you mention only looked at “40 populations living in and around the former Mongol Empire” (Mayell, 2003, Tracking the Y…). 35 mil+ ancestors is a pretty amazing accomplishment, but it is hardly support for ancient mythology. Many civilizations don’t have a flood story and the ones that do all lived near water. Doesn’t it make far more sense to assume they had flood stories because they lived near water, and not because every single person originates with one ancient Hebrew family? You ignore everything anthropology has to say when you try to tell us that every civilization began at the technological level of Noah’s time. This concept just doesn’t add up with what the real world shows us. The constant attempt to marry evolution with myth will never cease to make me smile. How does he live with himself? To put it bluntly, the same way Islamist terrorists and witch doctors live with themselves. They all believe they are doing Allah’s or the Great Spirits’ or their God’s work — advancing a righteous cause, spreading the truth, and trying to save souls. In this case rather than actually killing people the intent is to kill reason, rationality, and the search for knowledge and understanding of the world and universe we live in and replace it with religious mythology and superstition. There are marine fossiles found on the tops of every mountain range? You have better arguements in other areas of the biblical subject. Seriously, just move to the next one. Your arguements are really weak here. and I’m just one guy here supporting the cause. Negative, PUFF1, there isn’t a scientist on the planet who “believes” that “every species had a first of the species.” That, Puffy, is a creationist argument. Speciation occurs in a population not in an individual. Strike 1. All members of a given population can mate with all other members of that population. Strike 2. Speciation has been observed and documented in lizard and fish populations and in plants, but, hey, they’re still lizards, fish and plants! Strike 3. Get an education, Puffer. Even a creationist mind made of green cheese like yours is a terrible thing to waste. Oh, and check out this illustration to start your studies. Three things. First, I don’t have to believe or deny anything else to discount everything you believe or have said. The kindest thing I can say is, “malarky”. Look it up. Second, you’ve not given us a single fact. You’ve done a tremendous amount of hand-waving. I also see some smoke, but even that is pretty weak. Third, it’s spelled “argument”, not “arguement”. I say that because you need to choose your next words very carefully. I have a feeling they will be your last on this site. @Doc Bill: I followed your link. That’s awesome! To understand fossil shells on mountaintops, and geology in general, I recommend reading Annals of the Former World by John McPhee. It’s a bit thick, but the writing is wonderfully clear and entertaining. It won a Pulitzer prize. http://www.amazon.com/Annals-Former-World-John-McPhee/dp/0374105200 It might not change your mind, but you will truly understand why geologists think the way they do about the world, and have had an enjoyable read to boot. Also, the term “species” is a convenient label for biologists to keep track of the organisms they are studying or writing about, but there is never a point in time in which one species of animal gives birth to the next one. The fossil record is actual convenient in that it is so spotty, therefore paleontologists can readily distinguish among the few fossils we have and name individual species. If the record were actually complete, in that we had a fossil of every generation of a given creature going back into time, biologists would have the same problem that is illustrated by the link in Doc Bill’s post above. At any slice in time a creature would be able to interbreed with creatures in it’s lineage who lived many generations previous or later – it is only over long periods that the differences accumulate to the point where a paleontologist can assert that there is a new species. This is incorrect. The idea of one species giving birth to a member of a different species shows your lack of understanding of the theory of evolution. The idea that things are different species is a human invention. Animals are labeled according to their similarities by people, we call it zoology or taxonomy to be specific but at no point did one species of fish give birth to another species of fish. Those man-made labels are very recent in the history of the world. They represent a diversity that took an extremely long time to manifest. Evolution was first, taxonomy ex post facto. We are labeling the many current products of the on-going process of evolution down many different branches. When marine fossils are found on mountain ranges it means that the mountains weren’t always mountains, not that a global flood put fossils on mountains. Do you need a geology lesson too? Plates on the earth’s surface are slowly, extremely slowly, shifting about. They smash into each other and parts of them get raised well above sea level. Marine fossils on mountain ranges furthers the evidence for evolution, not creationism, because it would an extremely long time for mountain ranges to form from layers of rock that were once sea bed. Probably millions of years, which fits nicely with a 4.5 billion year old planet. @Jason – it’s always good to see your arguments supported by someone else! Yes, correcting my typos has done wonders to prove your case..
Come on, if you need to block the only guy on here with a differing opinion while this team describes how blinded I am to the facts, then you do what you intelligent people need to do to defend yourselves. I had no idea your so very obvious facts were held on such shaky ground and that there is no room for any differing opinion. Hey you’ve achieved the narrow mindedness to make this a religion! Let me see if I’ve got your stance correct. I’ve got it all wrong about evolution because there were no first of any species? There was no worldwide flood because, all the marine fossiles on tops of every mountain are really old? I have no ground to stand on because there are islamic terrorists? Ok, all jokes asside. If any are still interested. There’s some great info about the Sahara I think as well. Proven to be 10,000 years old (I don’t know how modern scientist have proven that though, so have at me) ;Has whale skeletons resting on the sands. A 10,000 year old desert with indigenous desert animals. millions of years of evolution raced to that short amount of time.. wild stuff. . . Honestly, I think that’s about all I have, so I probably am done here. I promise though, I’ll come back to read all your nasty comments! Because science (except at the very bleeding edge) is not about opinion. It’s about what logic and evidence you can bring. When you answer Jason and Ed’s statements about the fossils on mountaintops with “Look at the age of the Sahara. It’s only 10000 years old.” Well, don’t bother putting a price tag on that argument, I’m not buying it. Suffice to say, you’re incorrigible. I wish you well in your “blinded by dogma” life. Is it April 1st already? Oh wait … my calendar is a month behind. I was going to post further snarkyness, but somehow this is just too easy. Instead, here is a picture of some fossil footprints, taken last year on a hike in the Grand Canyon. You believe in a worldwide flood because you believe in the biblical account of a worldwide flood. I am going to put words in your mouth, but I believe you would argue that we don’t, because (in Ken Ham’s favorite phrase) we believe in “millions of years”. It’s the two worldviews argument, that we both look at the same facts and interpret them differently because of our different worldviews. Ham is wrong. The difference between science and creationism is not conflicting worldviews. It’s conflicting methodologies. For example, scientists did not start with a belief that the world was ancient and set about to prove it. In fact, the idea that the world was truly old was a difficult one to grasp, and was resisted by a lot of very smart people. Over time, however, evidence accumulated until eventually the science community was compelled to accept an old earth as established fact. The scientific process which required objective evaluation of evidence lead to the conclusion, not a particular worldview. The same is true of evolution, the big bang, continental drift, and other once-controversial findings of science. All of these understandings came through the accumulation of evidence, and many scientists held differing opinions until finally capitulating to the weight of the evidence. What is important to science is truth, whatever that is, and however uncomfortable it might be. Creationism, however, begins with a particular creation story and sets about attempting to prove it. That is, as Ham puts it, creationists interpret evidence from a specific worldview. Such a methodology will not permit anyone who follows it to come to any conclusion other than the one they began with. Therefore, creationists spend most of their time explaining away contradicting evidence. This methodology of accepting evidence only if it agrees with your pre-existing belief, and discarding or reinterpreting evidence that doesn’t, does not lead to truth, or any understanding of the natural world at all. All creation science, including intelligent design, follows this methodology. You accuse us of having “achieved the narrow mindedness to make this a religion!” On the contrary, we are simply telling you what the scientific understanding of the world is, based on the hard work of tens of thousands of scientists over the past three centuries or so. Belief in a young earth and a world-wide flood, by contrast, is a religious belief. You’re free to believe it, but don’t argue that the belief is based on some sort of objective scientific process. @TA: What do you think those footprints are? @Ed: I can only speculate, and there isn’t much detail preserved (This NPS guide describes them as reptile tracks). Judging by gait, the ones on the right are a different critter from the ones up top. This photo was taken on the Hermit trail just below the (south) rim. No, the age of fossils found on mountains suggests something other than a worldwide flood. If we atheist scientists wanted to prove YECs wrong, all we’d need to do is to assert that the world is at least 20,000 years old. No reason to insist on 4 billion or thereabouts. The world-wide cataclysm that wiped out the dinosaurs is your cataclysm, not mine, because the evidence of marine life on the tops of all the mountains on earth are there because of your reasons not mine and it was an ICE age with ICE and not water that carved all those ridges…because I misspelled argument. Okay, you guys have set me straight.. I am tempted to post links to maps of all the mountains I’ve been on top of that show no trace of fossils at all, but that might be overkill. This one will do. Hey, PAF1 learned to spell “argument” correctly. Yea! Of course, he needs to work on putting together a coherent argument, but at least now he can spell it. Ya have to start somewhere. TA – ahhh, the Snowy Range – beautiful and fairly far from the madding crowd. Ah, oh well. It’s not like he was going to listen to reason anyway. Wonder if PAF is an acronym? Could be any of those. Come on, you guys can google this stuff. How can you expect me to defend myself seeing as how I’m desperately clingling to my old-timey voodoo, in light of such obvious facts that are right in front of my face. . .
Goodbye again, PAF1. How many IP numbers do you have? How many IP numbers do you have? It could also be that he used a home computer previously, and now he’s using a smart phone. Or perhaps he went to the local library and is using one of their computers? If you think it’s bad now, just wait til IPv6 gets going. And to PAF1, why, yes, with a couple of links, you have single-handedly managed to completely, totally, and utterly destroy the entire framework of biology, chemistry, physics, and geology… NOT! Frankly, Ed already covered your obsession with “fossils on mountaintops”. It’s due to geology, not a biblical, world-wide flood. Don’t believe me? Let’s take a look at your links. Yes, goodbye, PAF1, both to you and your “arguements”. So … PAF1 is now claiming plate tectonics and all of geologic history as proof of the biblical flood? Good! I’m going to claim the Bible as proof of curvaceously mocking squirrels. And PAF1: Go here. You might find the argument you are looking for. That’s funny that he brought up the Grand Canyon. That’s where John Morris told me he is currently “researching.” He told me the Colorado River had nothing to do with the Grand Canyon.